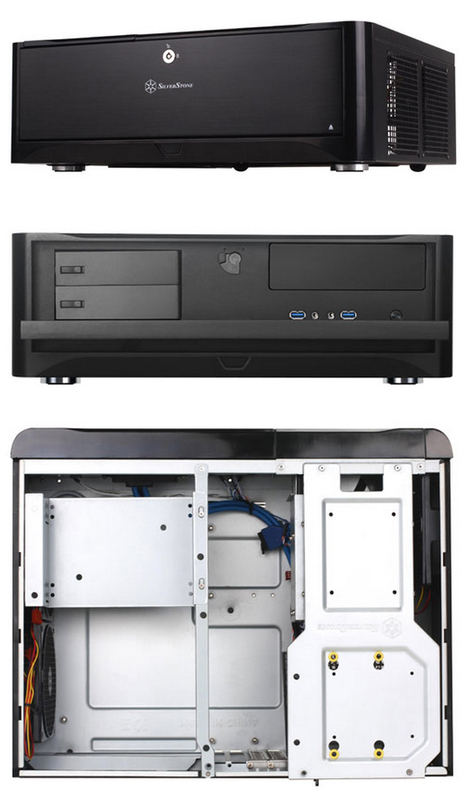 The Silverstone GD06 is the perfect Micro ATX case for all HTPC setups. Its five hard drive storage is augmented by two hot-swappable bays for maximum flexibility while a front door lock and a rear Kensington Security Slot ensure security for the installed drives. Cooling is provided by three 120mm silent fans with filters for exceptional performance, quietness and effective dust prevention. For those in doubt that a small footprint HTPC chassis can be used to build a powerful and fully loaded media server, the Grandia GD06 will change their mind.